West Nile concerns are forcing vector control teams on the Peninsula to spray on Wednesday night. A sample of mosquitoes collected in Redwood City Monday tested positive for West Nile virus, according to the San Mateo County Mosquito and Vector Control District. 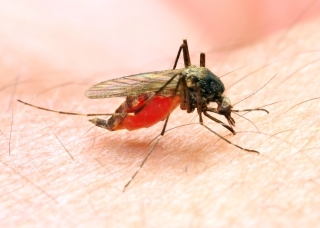 In an effort to prevent human cases of WNV, the district will conduct truck-mounted adult mosquito treatment around the area where the infected mosquitoes were collected, according to district officials. The treatment will take place between 9 p.m. Wednesday night and 5 a.m. Thursday morning, district officials said. The treatment area is primarily residential. The area is bounded approximately by Elmwood Street to the northeast, Vera Avenue to the southeast, Canyon Road to the southwest and Blanford Boulevard to the northwest, district officials said. Following the treatment, district officials will collect mosquito samples again to check for West Nile virus, in order to see if additional treatments will be necessary, district officials said.